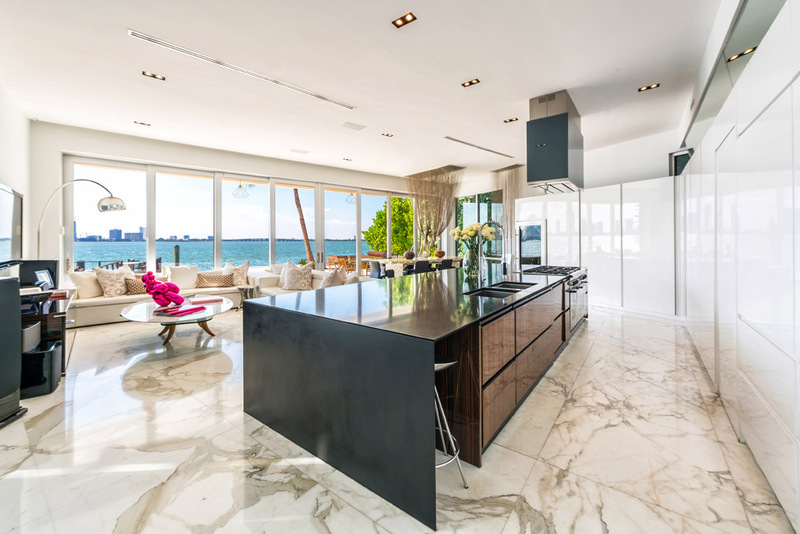 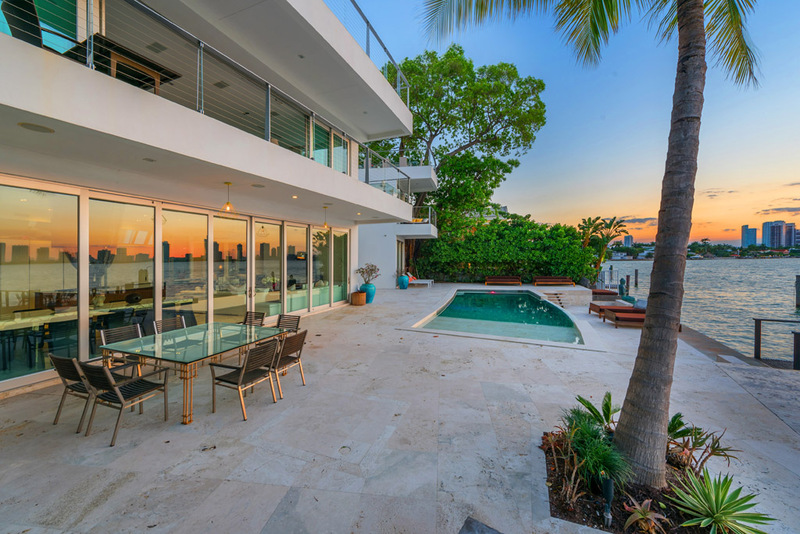 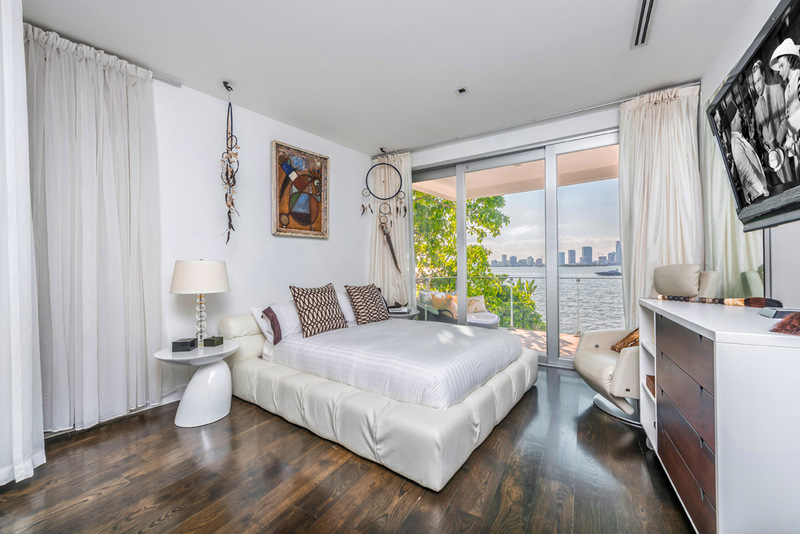 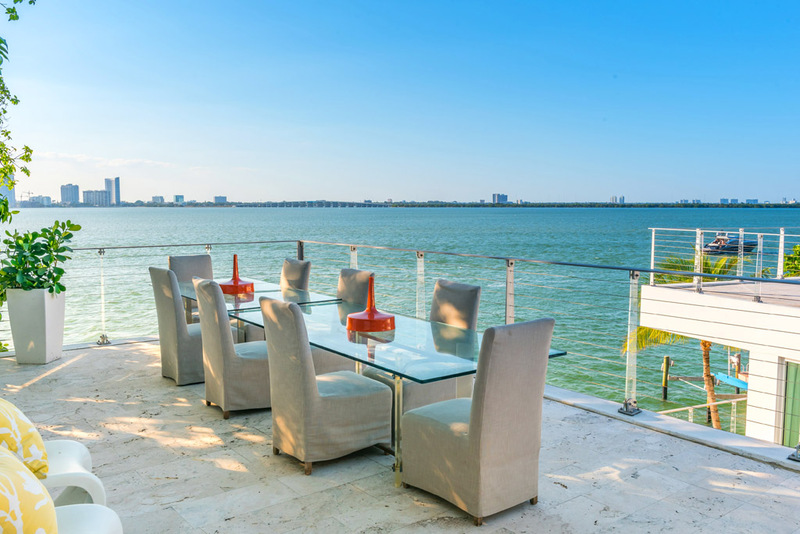 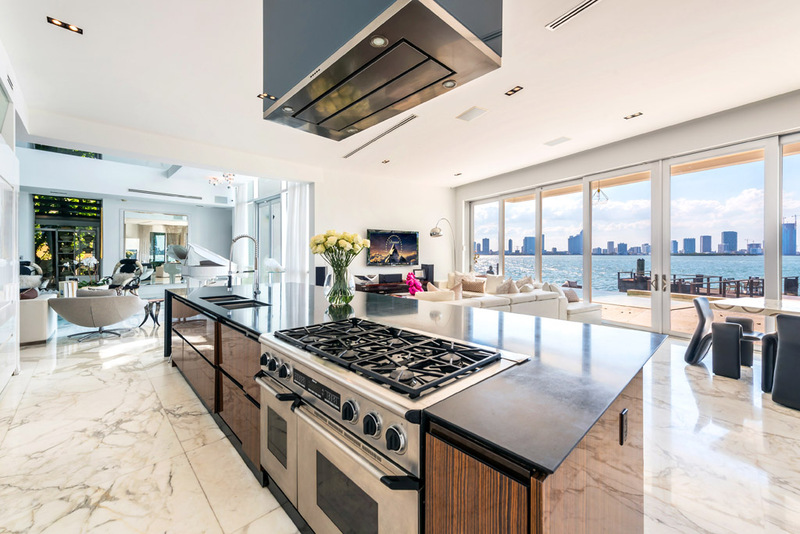 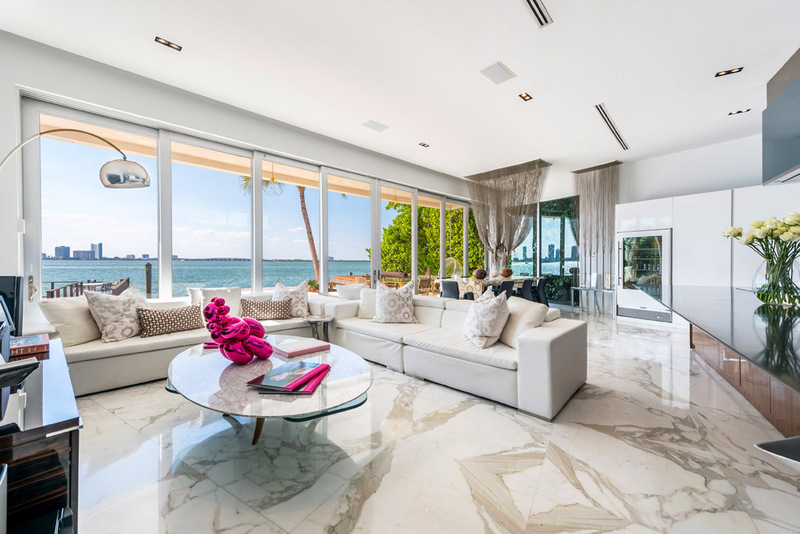 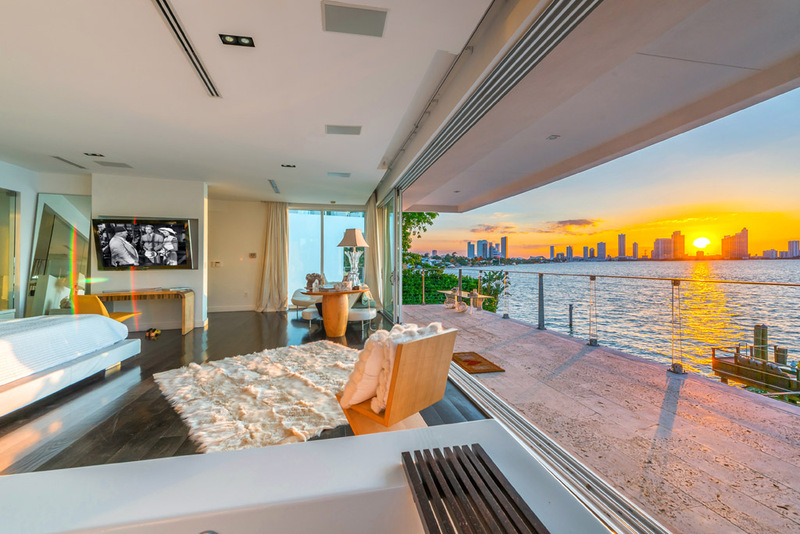 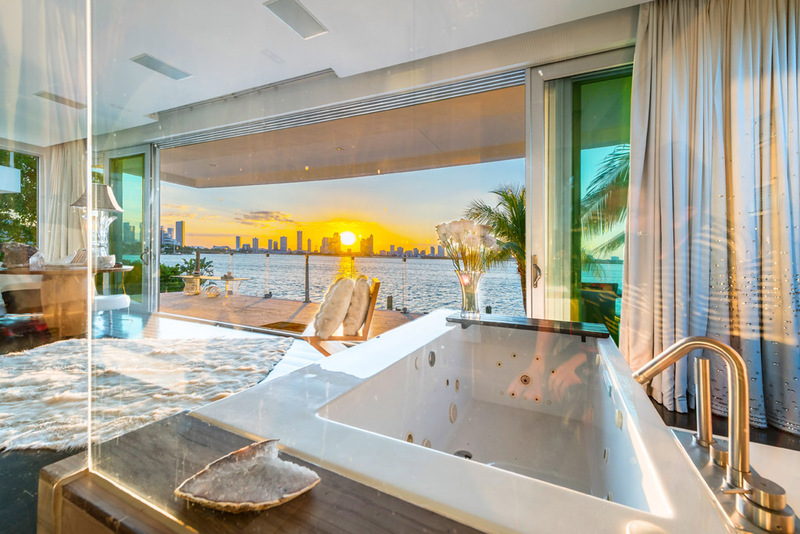 This stunning 6 BD/6.5 BA three-story waterfront home on the Venetian Islands has floor-to-ceiling glass walls to watch the amazing western sunsets. 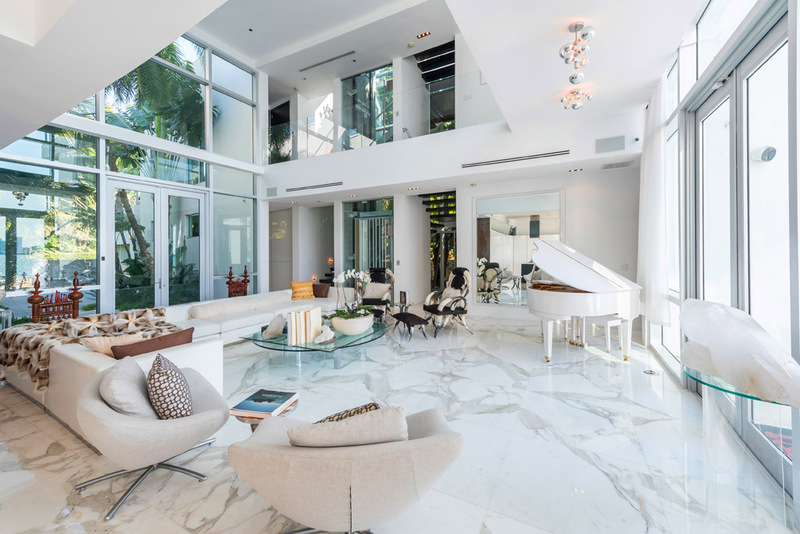 The spacious open floor plan with 30 foot ceilings connect to a large gourmet kitchen, formal dining area and serving bar. 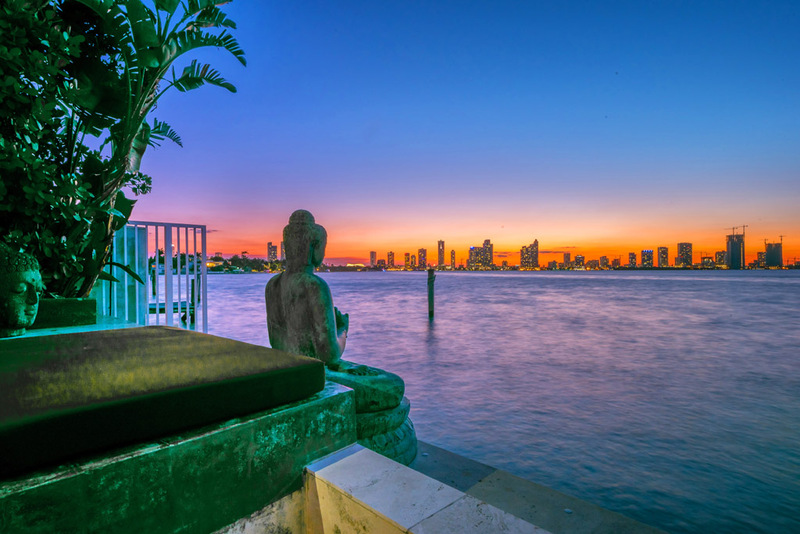 Enjoy breathtaking 360 degree views from the 1,700 square foot rooftop terrace. 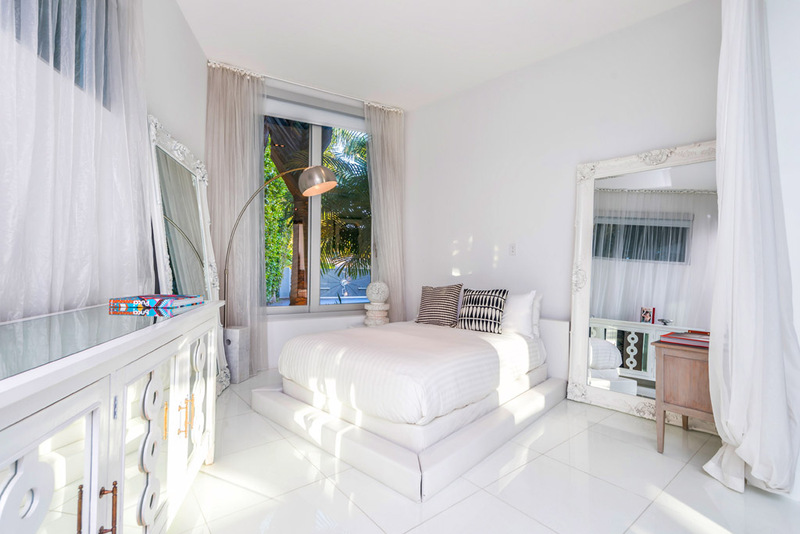 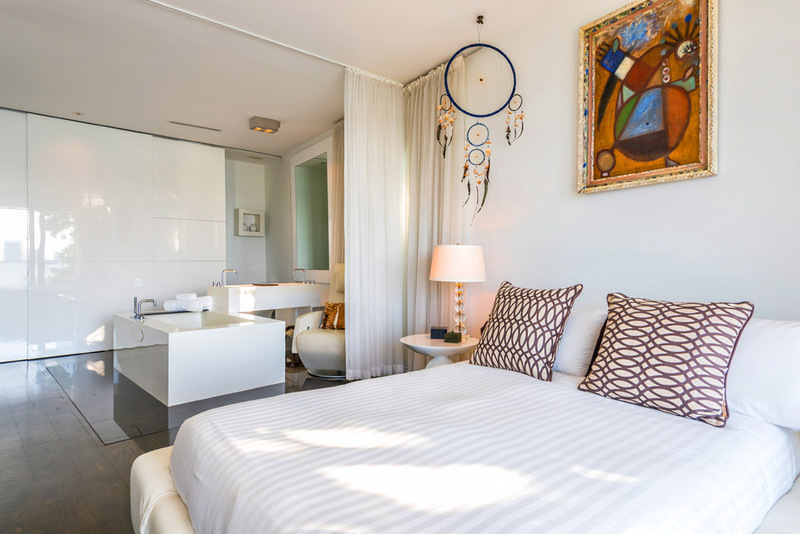 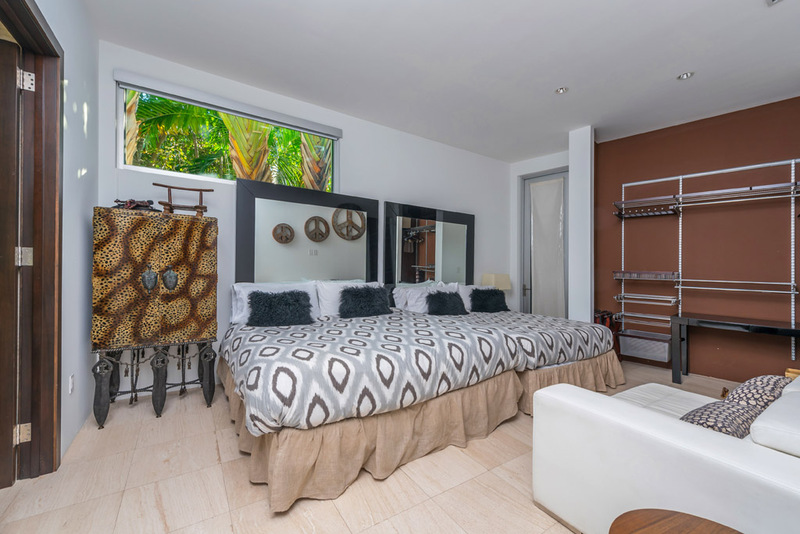 All bedrooms are ensuite with open bathrooms. 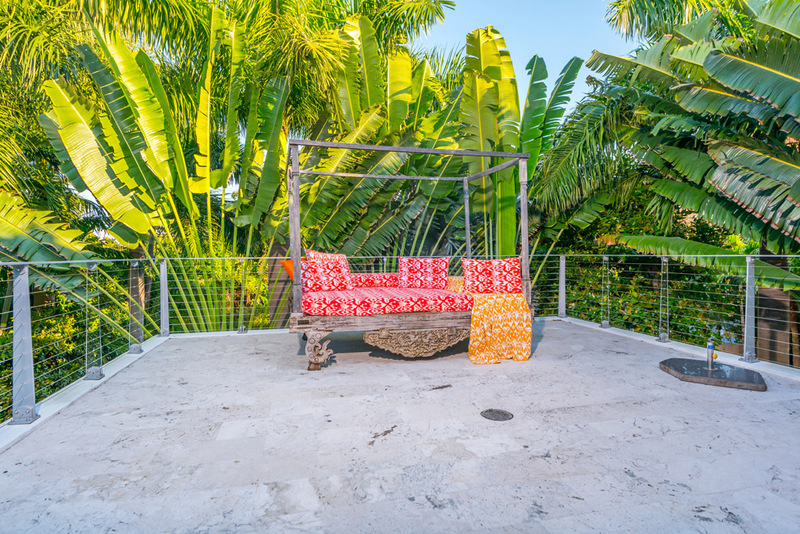 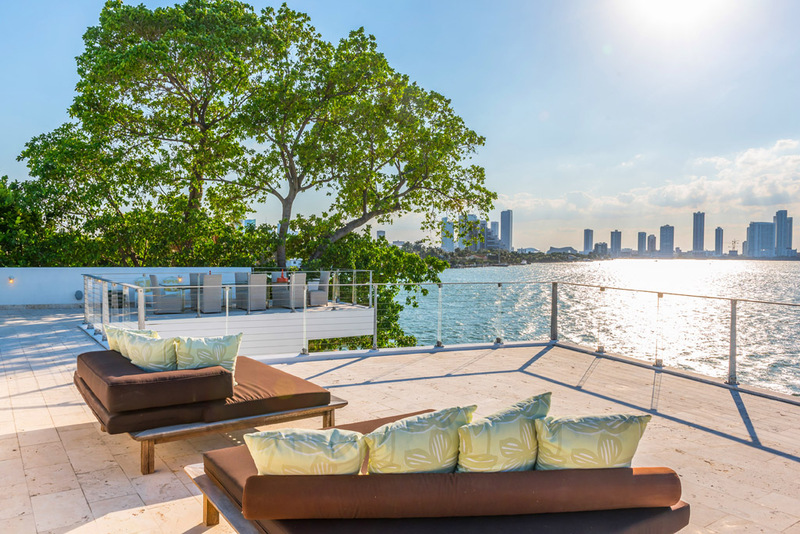 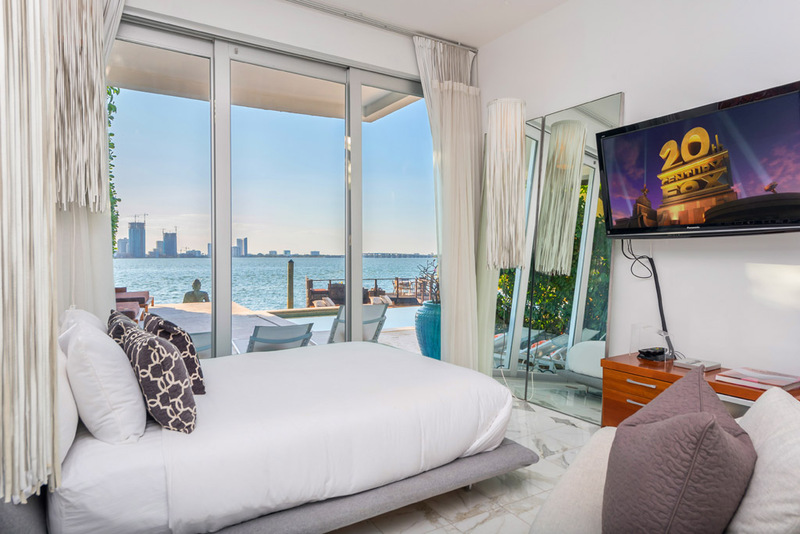 The expansive outdoor entertainment area includes a heated pool and furnished dock on 100 feet of water frontage.